As the name implies, the obituary cocktail is not a tame cocktail. 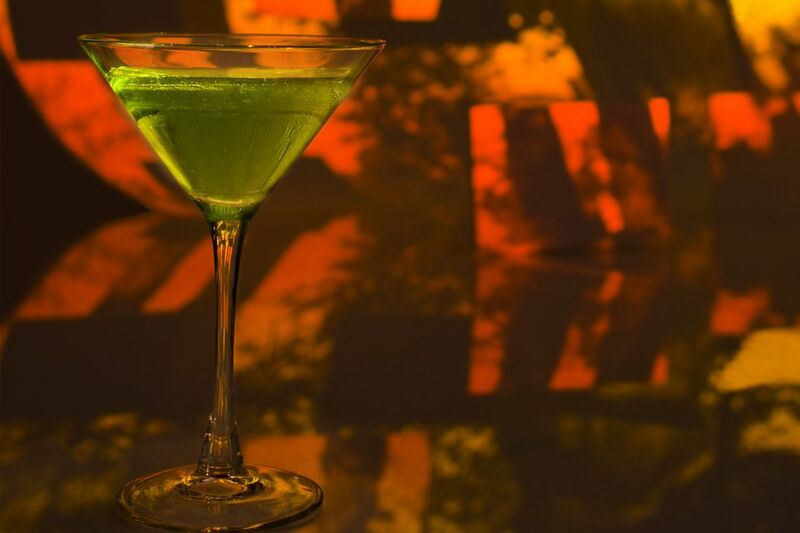 The likely source of its perilous warning is the drink's concentration of absinthe, which is equal to the dry vermouth in this twist on the dry gin martini. The recipe is also a classic cocktail and it's a stellar drink that retains the brilliance and taste of the traditional absinthe drink. If you are new to or just rediscovering absinthe, this is the cocktail you will want to try. It makes for a nice tasting experience and offers the distinct taste of the anise-flavored spirit without it being the lone flavor. The gin and vermouth add their own botanicals to the mix, which helps make absinthe more approachable to a variety of drinkers. That said, this recipe not going to be for everyone: anise tastes like black licorice and you need to appreciate that flavor to enjoy this drink. In a mixing glass filled with cracked ice, pour the ingredients. As with any martini, it's important that you don't skimp on the gin. Choose a top-shelf gin that has a full flavor (such as London dry gins) to get the best-tasting cocktail. Using cheap gin will result in a disappointing drink. Make sure that your dry vermouth is not outdated. Once the bottle is open, vermouth has a shelf life of just three months and should be refrigerated. If your current bottle doesn't meet these standards, do yourself a favor and pick up a new one. Though absinthe was banned in many countries for many years, it has become easier to find. However, it's not going to be readily available at every liquor store. You may still need to hunt it down at a local retailer who specializes in a greater variety of spirits. It can also be purchased online but, depending on where you live, shipping restrictions may prevent that option. Stirring the drink with cracked ice does make a big difference in marrying the obituary's flavors. In this case, more water dilution is desirable. To break regular ice cubes into smaller pieces, place them in a cloth or plastic bag (a Lewis bag is designed specifically for this purpose). Then, whack it with a muddler, rolling pin, or hammer. It's a great way to relieve stress! The traditional 1/2 ounce of absinthe may be a little too much for some tastes. If you find that you like the basic flavor but it's a bit overpowering, try just 1/4 ounce the next time you make the drink. If you like—or if they are simply more accessible—any absinthe substitute (e.g., abisante, anisette, Pernod, Herbsaint) can be used in the obituary cocktail. An interesting experiment is to make this into a "perfect" absinthe martini by splitting the dry vermouth with an equal part of sweet vermouth. How Strong Is an Obituary Cocktail? Absinthe is a very potent liquor on its own, ranging from 90 to 148 proof. That means the obituary cocktail is one of the strongest martinis you can mix up. The cocktail's alcohol content ranges from 32 percent to 34 percent ABV (64 to 68 proof), which is why it's just a 3-ounce drink. Heed the drink's warning and take it slow.